Latte theme translations are maintained by the WordPress community. 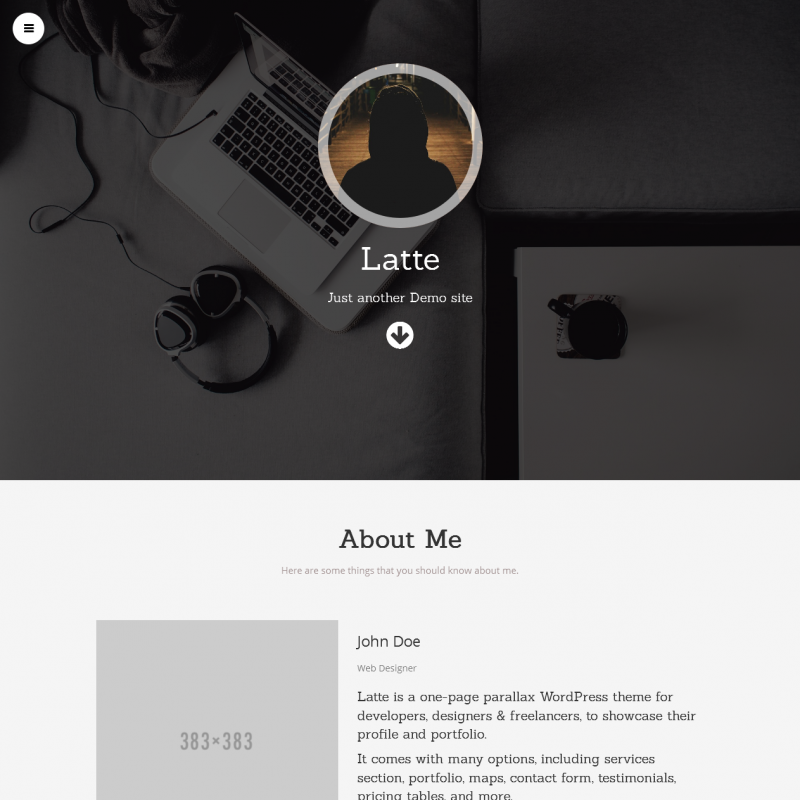 Latte is a simple one page theme for developer and designer blogs. 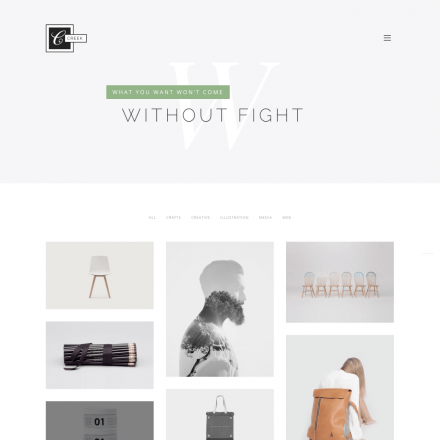 The theme provides many options, including an opportunity to add an information about your services, subscription form, and portfolio. 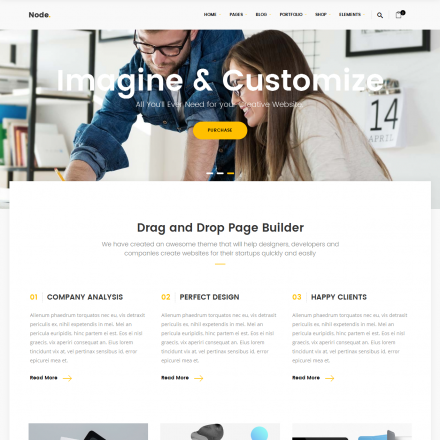 You can manage all options through WordPress Customizer.